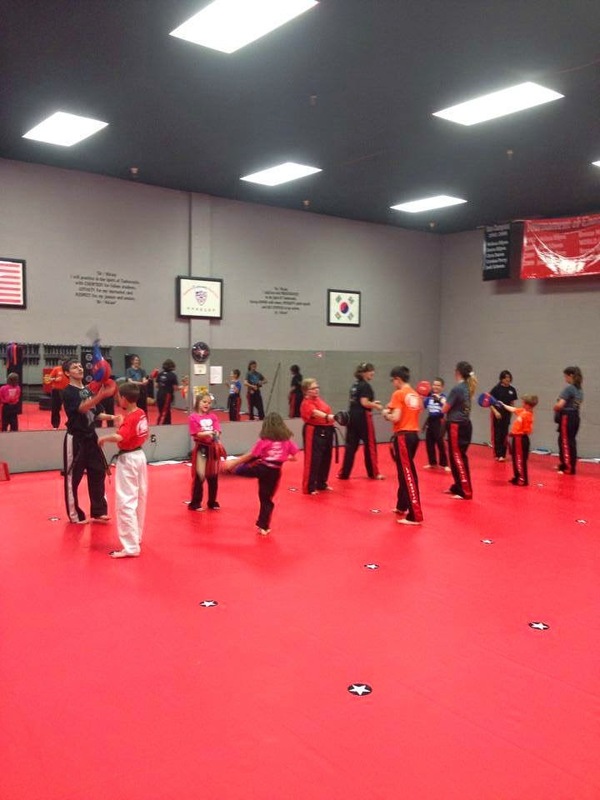 Many people sign up for martial arts because of the desire for a fun activity, or to learn self-control. Many people, however, are not aware of the physical fitness benefits of martial arts like taekwondo and karate. If you are looking to improve your fitness, or maintain an already healthy lifestyle, we may be just what you are looking for! The running, workouts, kicking, punching, and technique drills used in our class get your heart rate moving. Studies show that the more your heart works during exercise, the stronger that it gets. Doctors recommend that adults get at least 30 minutes of cardiovascular exercise every day. It takes a difference of 3500 calories to lose 1 pound. By reducing the amount you eat, and exercising more, that goal is not as hard as it may seem. According to Map My Fitness app, just one 45 minute ATA Martial Arts class burns over 600 calories! A simple lifestyle change and attendance in class can help you lose weight! Being a good martial artist takes practice and repetition. Soon your body learns what we call “muscle memory.” This is when your body has done the same moves so many times that you can defend yourself without thinking. This improves the use of your joints. We have programs for all ages, and hope that we can help you on your road to fitness. Please visit our website at www.sulphurspringsata.flywheelsites.com for more information and special offer to start you on the journey. Remember, as the saying goes, “The journey of a thousand miles begins with a single step.” Take the step toward health and call today.